Property 21: A luxury award winning accommodation in an area of outstanding natural beauty. 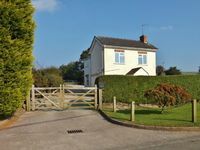 Property 26: The Hayloft a romantic country haven. Property 48: Spacious comfortable converted barn with character in peaceful surroundings.